Passionate about helping people put the pieces of their lives back together, the Bates Law Office Kentucky provides dedicated family law counsel. Proudly serving clients in Elizabethtown, Kentucky, and throughout Bullitt, Hardin, Jefferson, LaRue and Nelson counties, we explain to those we represent how the laws apply to their individual situations and inform them of their rights. We know that while cases may share similarities, each is unique. Drawing on our attorney's more than 10 years of legal experience, we discuss our clients' specific circumstances and needs with them during a free initial consultation. Crafting a plan based on their legal objectives, we work to help people effectively and efficiently resolve their cases. Our attorney strives to achieve solutions on our clients' behalf through amicable methods such as mediation or negotiation whenever possible; however, we are prepared to zealously represent their rights in the courtroom if necessary. 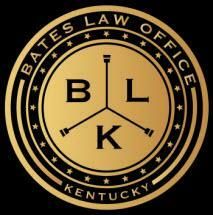 In addition to family law, the Bates Law Office Kentucky can also help those who have been arrested for DUI, drug crimes, theft, assault and other misdemeanor and felony offenses. A results-driven criminal law office, we are committed to protecting our clients' rights throughout every phase of the legal process. Our attorney works closely with people, striving to develop personalized strategies for securing the best possible outcomes to their cases. We have successfully obtained reductions and dismissals of the charges against our client, as well as acquittals and limited penalties. For the convenience of those we represent, our law office accepts credit cards.